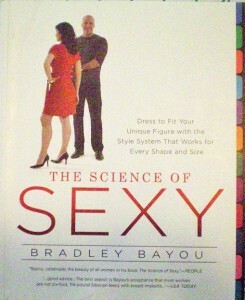 Like the title says, this book sets out to show every woman how to dress for her individual shape and size. You choose your height and weight, and your basic body type (triangle, hourglass, circle, etc.) and it gives advice tailored to your specific needs. I love the concept of this book. It has a hefty title, which, fortunately, it lives up to. It works on the principle of balance: minimizing your flaws and drawing attention to your assets. Using those key ideas, it examines every possible body configuration and gives suggestions on how to dress so that you’ll look as good as possible. Whether you’re short, average, or tall in height, slender, average, or plus-sized in weight, triangle-shaped, rectangle-shaped, or hourglass-shaped—every woman’s body type is given attention. It doesn’t just focus on the young and skinny. You get a description of your body’s best and worst features, so you know what to highlight and what to minimize. You also get a list of “Do’s & Don’ts”. 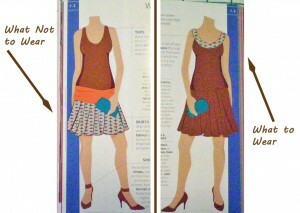 It includes dresses, pants, tops, skirts, jewelry, handbags, and even shoes. In addition to body-specific advice, the book offers generic suggestions that work for everyone. Things like, don’t hem your skirt to the widest part of your calves because it will make your legs look stubby. It also gives advice on how to “reveal” or “conceal” each of your body’s parts. 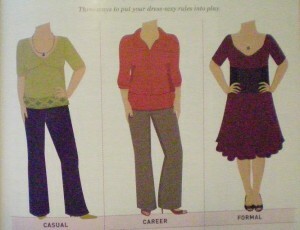 For example, to downplay a too-large bust, wear single-breasted jackets, V-necks, and semi-fitted styles. To give the illusion of a larger bust, wear tops with empire waists, horizontal stripes, ruffles, or attention-drawing embellishment. I love the illustrations. It gives plenty of examples of what you should be wearing to flatter your body shape, and it also gives a “before and after” sketch to illustrate the difference between what you should and shouldn’t be wearing. The contrast between the two is sometimes subtle, and sometimes startling! I wish that each body classification had been given more attention. As it stands, each type only gets four pages. Out of a 298 page book, that hardly seems fair. But there is quite a lot of generic advice that applies to everyone, and to be honest, you can glean a lot of information by reading the other body-type chapters. For instance, I’m right on the verge between several different types (short/average height, and rectangle/triangle) so I was able to benefit from reading all the applicable chapters and choosing which elements applied to me. It really is amazing how much difference wearing a slightly different style blouse or skirt can make. I learned a lot about what I shouldn’t be wearing (and yes, I’m guilty of several examples!) and what I should be wearing instead. I highly recommend this book to each and every woman in the world. There’s no reason you shouldn’t look your best, and if you can accomplish that by simply putting on a knee-length skirt instead of a mid-calf length skirt, why shouldn’t you? Have you read this book? What do you think? Does it help you choose styles to flatter your figure or does it fall flat? 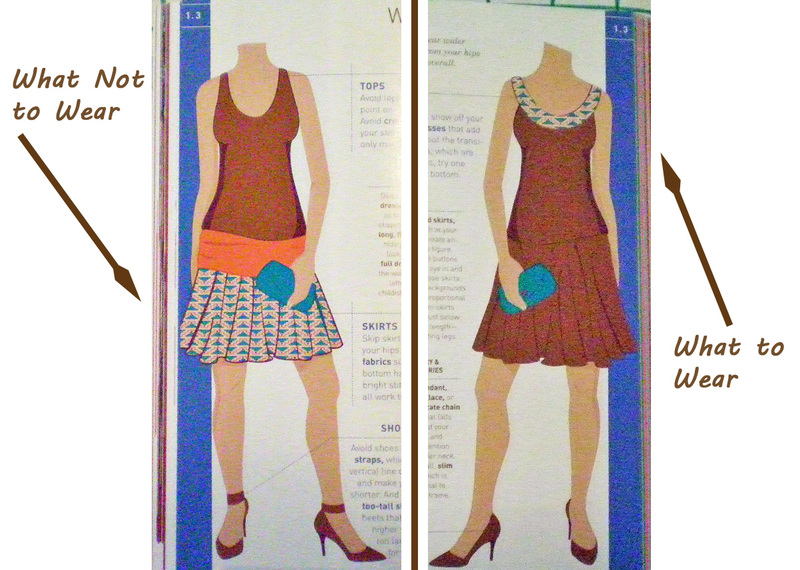 This entry was posted in Thursday's Book Reviews and tagged Book Review, Modern Garments, Thursday. Bookmark the permalink.